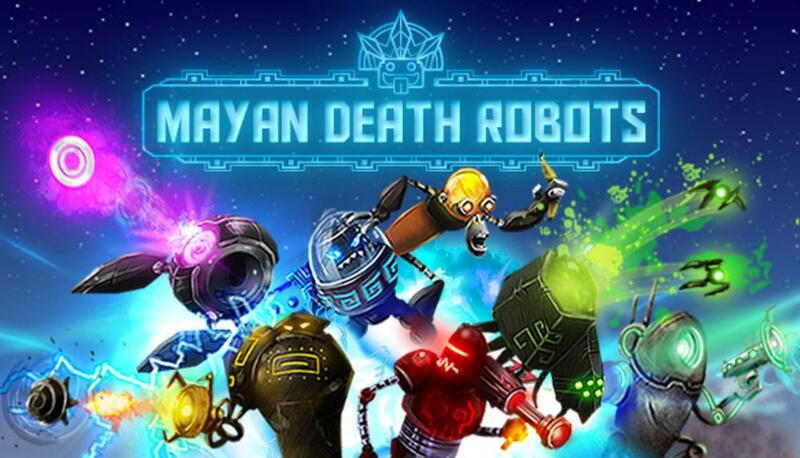 Mayan Death Robots is a Wormslike artillery game in a Mayan setting invaded by alien killing machines. Pick a robot from the roster and enter the arena to destroy your opponent's power core. Aim your weapon before the timer runs out, but don't be distracted by the pretty scenery: when the rockets start flying, you already need to plan your next move! Will you choose to move your robot to a better vantage point, or will you build defenses to keep your opponent from landing a killing blow?